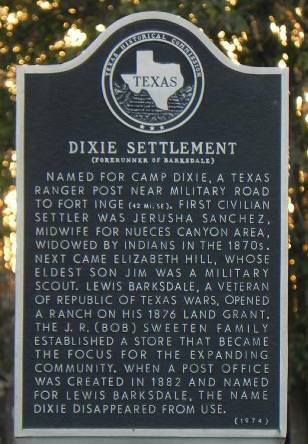 Once known as Dixie, Texas, Barksdale was originally settled in the late 1840s and was named for Lewis Barksdale, landowner. The name Dixie was borrowed from an existing army camp in the 1860s. More settlers arrived in the 1860s, although Lewis Barksdale himself didn�t arrive until 1869. In the 1880s there were enough letter-writers in Dixie to request a post office, but they found the name Dixie already in use. The application was resubmitted under the name Barksdale, which was granted in 1882. 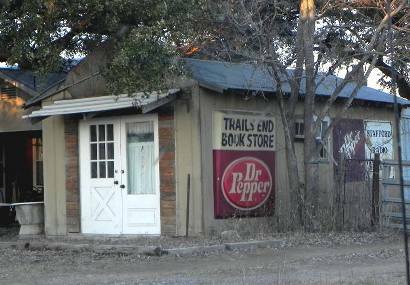 Although the population was a mere 20 people in 1884, the town had three stores � one a grocery and two of the general variety. A school was opened in a private home but in 1887 it had its own building which was also used as a church on Sundays. 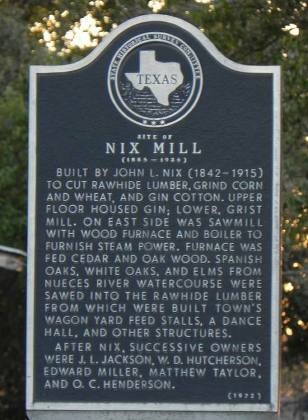 By 1900, the community had grown to 100 residents served by businesses including a gin and gristmill. A bank opened and the town was wired for phone service. 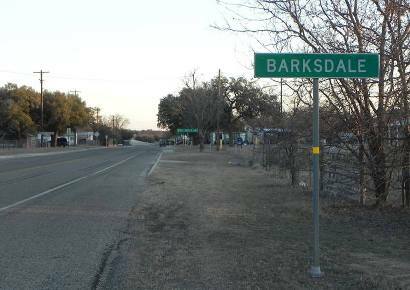 Barksdale managed to get through the Great Depression without too much population shrinkage and throughout the 1940s it held steady at around 200 residents. But the 1850 census counted just 150 � probably due to postwar mobility. The prosperous 50s added a church in 1950 and a new high school was constructed in 1957 in anticipation of the crop of baby-boom childen. 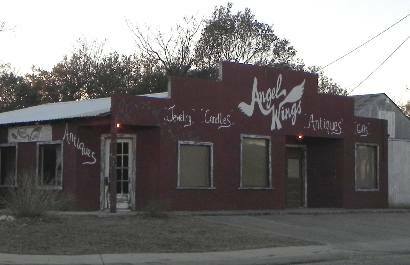 In the early 1970s, it had declined to just 71 residents and two struggling businesses. But Barksdale was not to be counted out. Several subdivision were built in the late 1980s and the population had rebounded to a new high of over 600 people. It grew to nearly 1,100 for the 2000 census. 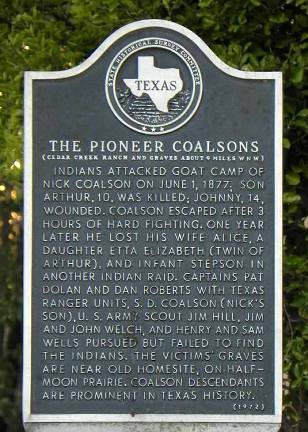 Named for Camp Dixie, a Texas Ranger post near Military Road to Fort Inge (42 miles southeast). First civilian settler was Jerusha Sanchez, midwife for Nueces Canyon area, widowed by Indians in the 1870s. Next came Elizabeth Hill, whose eldest son Jim was a military scout. 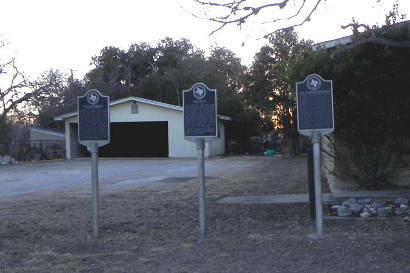 Lewis Barksdale, a veteran of Republic of Texas wars, opened a ranch on his 1876 land grant. The J. R. (Bob) Sweeten family established a store that became the focus for the expanding community. When a post office was created in 1882 and named for Lewis Barksdale, the name Dixie disappeared from use.